In today’s competitive environment, Designers are facing the tough challenge of developing systems that require high performance, shorter lead times-to-market, and tremendous cost reductions. 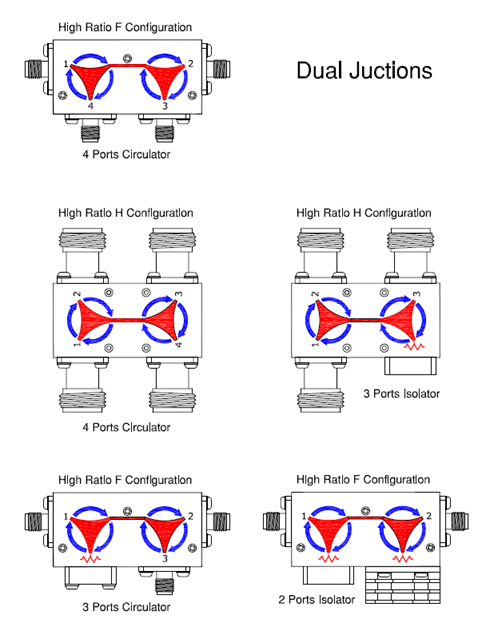 At RFCI, we design & manufacture the most challenging ferrite devices to provide high performance, high reliability, and innovative solutions to our customers. Our highly skilled and talented engineering team has a combination of many years of working in ferrite products with extensive design history. Our prices are very competitive. Currently, we’re one of the biggest suppliers to the Base Station markets. RFCI proudly offer the markets a broad range of ferrite devices which are unequaled in performance, quality and reliability. In keeping with our commitment to quality, all our products are manufactured in ISO 9001:2008 quality approved facilities. We’re continuously improving our process to supply the highest performance products at lower price with the quickest time-to-market. We are ready to develop Isolators/Circulators to your specifications and we will happily consult on your requirements, develop and manufacture for your cost-effective products that are delivered right and on time. 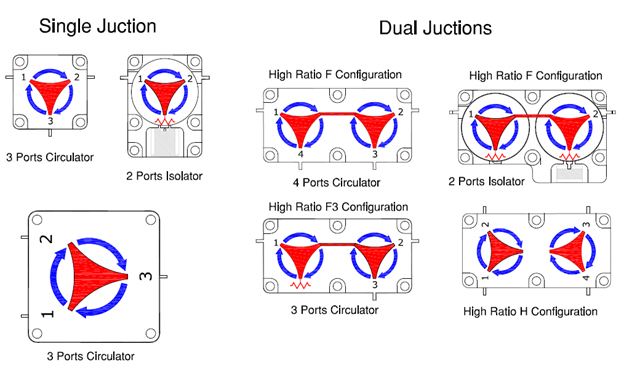 RF Circulator Isolator Inc., (RFCI) specializes in the design, development and manufacturing of a broad range of quality RF Circulators and Isolators. 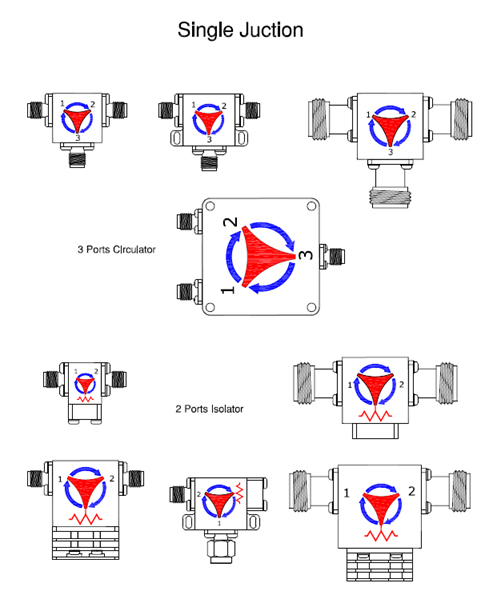 Available in single or multi-junction topographies, the RFCI product line of RF Circulators and Isolators are specifically designed for use in varied environmental and temperature extremes. 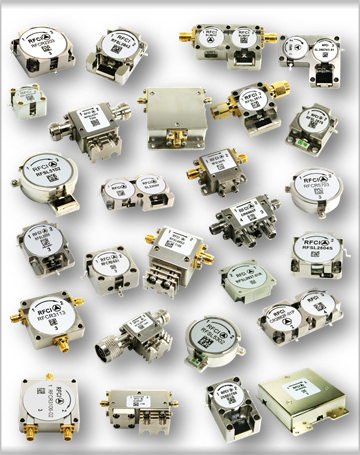 We provide circulators and isolators spanning the frequency range of 50 MHz to 20.0 GHz in varying bandwidths, tailored to cover all standard and popular bands commonly used throughout the market place. All devices are ROHS Compliant and material declarations are in place.